Mini Tennis is a great way for children between three and ten years old to get into the world of tennis with an exciting programme from the LTA sponsored by Highland Spring. With smaller courts, nets and rackets and lower bouncing balls, Highland Spring Mini Tennis offers the perfect introduction to the sport, with all the fun and energy of the real thing. There are four stages of Highland Spring Mini Tennis; Tots, Red, Orange and Green, each with their own court size and type of ball. 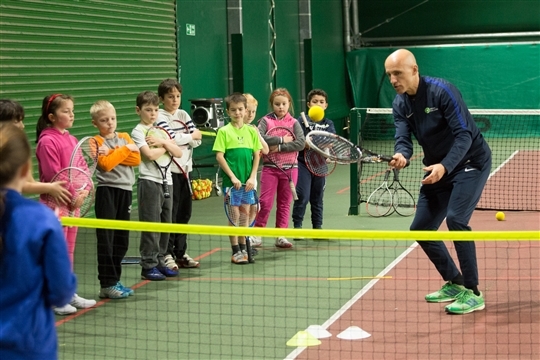 This tailored approach enables players to develop vital skills and techniques at an early age. For programme information click here ..